Panama is beautiful. From the hidden beach coves of the Pacific to 12,000 ft up on a jungle volcano, it has something to offer for everyone. Weekend Warrior trips offer the ideal way to experience these natural landscapes. Each trip has an emphasis on the local culture and sustainable living practices. These trips take care of all logistics and costs for activities, transportation, lodging, guides, and many meals, etc. We work with local operators to get group discounts and ensure you are getting the best price. There are trips many weekends of the Kalu Yala Institute semester, giving you a great opportunity to experience more of Panama and hang out with fellow student-interns in a smaller group setting. 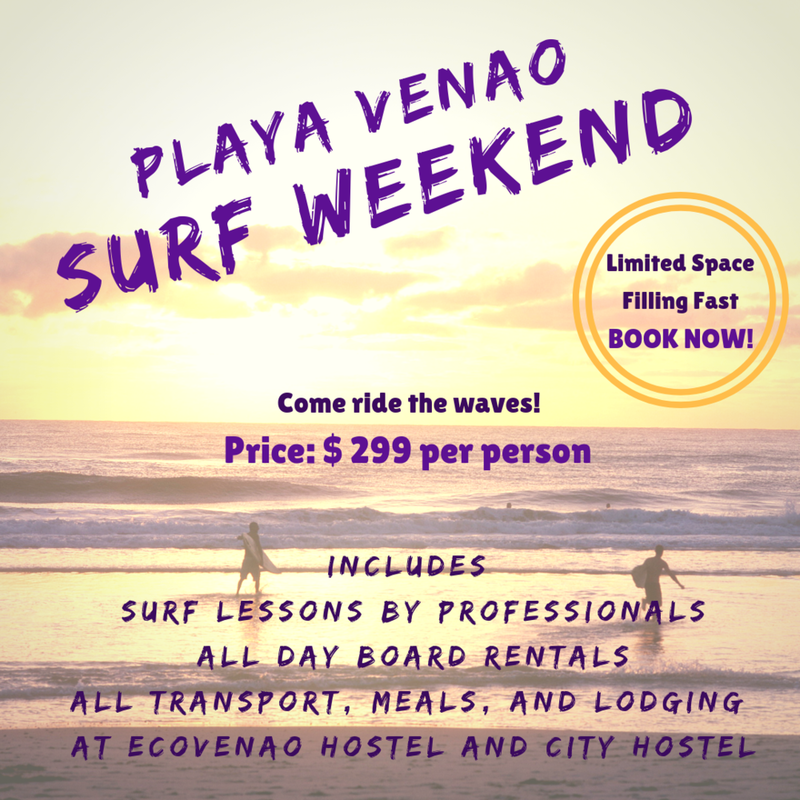 Learn to surf with professional instructors and all-day board rentals in Panama's favorite surfing cove, Playa Venao. Stay at an off-the-grid beachside eco-hostel involved in sustainable reforestation projects. Join us for a weekend surfing adventure on the Pacific! This trip accommodates all levels of surfing experience, including first-time beginners! This 3-day weekend trip starts early Saturday morning, when we depart from San Miguel to drive east to the San Blas Islands. Traveling on a panga-style boat from the port, see the beautiful coconut tree islands from the water as we head to Isla Naranja Chica for two full days of island fun and interaction with indigenous culture.